In the case of crooked 2D lines, special attention must be paid to CMP binning. Figure 3 shows the 2D main Geom window for a very crooked line. For this data set the inconsistent station interval and the curvature of the line results in a scattering of CMPs. In order to accommodate this scattering, several steps must be taken. First, an equal CMP interval is set or calculated and is forced on the crooked line. Next, by adjusting the CMP line via a smoother, the processor works to obtain the highest most consistent fold along the crooked line. 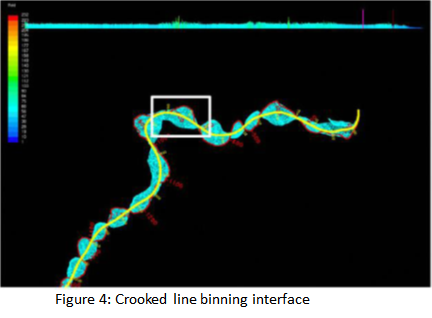 Figure 4 shows our interactive crooked line binning tool. The fold values along the line can be viewed at the top of the screen in the fold histogram. The surface location of the line is indicated in red. 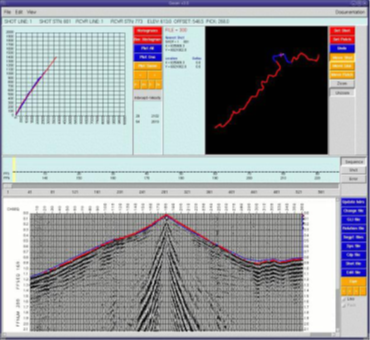 The yellow line represents the subsurface CMP line, and the blue dots represent the CDP scatter. 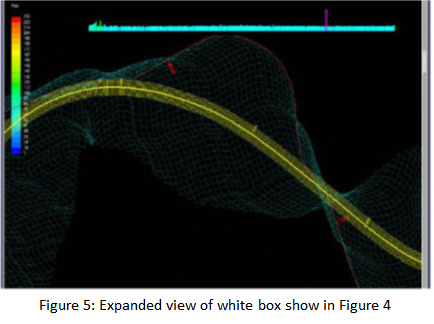 Figure 5 presents an expanded view of the white box shown in Figure 4. The individual CMP bins, represented by short yellow segments running perpendicular to the CMP line, are clearly visible at this scale. 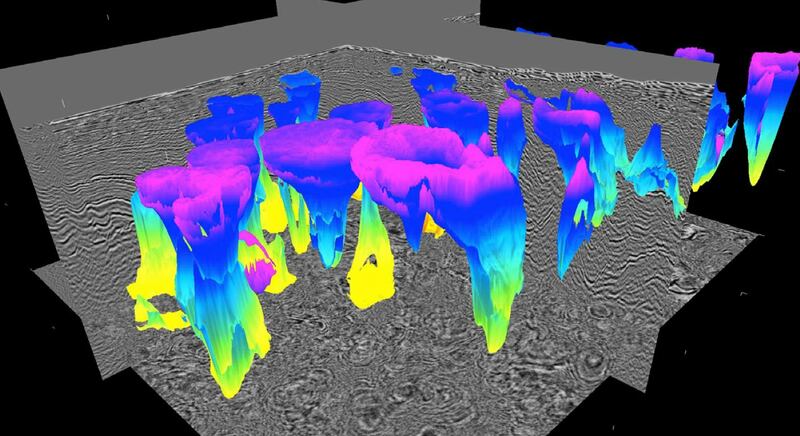 TGS has the technology, expertise and resources to meet the highest geophysical processing objectives.